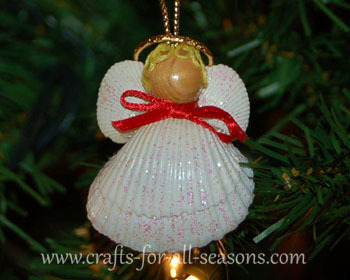 This seashell angel ornament is a beautiful little craft that anyone can make! 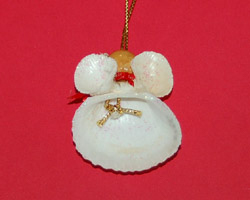 Save some shells from your trip to the beach, or pick some up at the craft store. 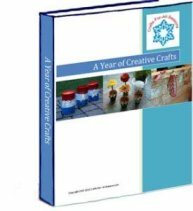 Some craft stores only sell them seasonally, in the summer. You will need one larger cockle shell for the body, and two smaller cockle shells that are both the same size, for the wings. 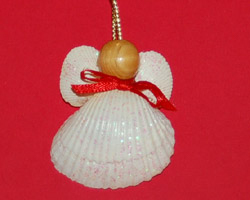 A few more craft items, and a hot glue gun, and you have yourself a pretty little homemade ornament! 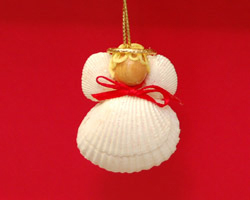 I can totally see these on a beach themed tree for those coastal homes, can't you? 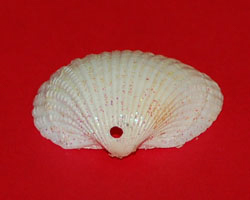 Two smaller cockle shells, both the same size. 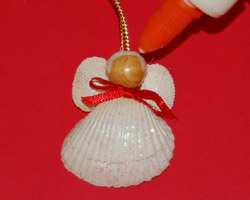 1.Spray the three seashells with glitter spray paint and allow them to dry. 2.This step is optional. 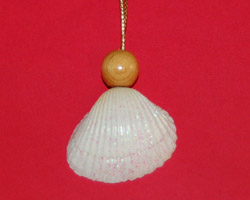 Drill a hole in the top of the seashell using a Dremel tool. For more information on how this is done, see this article for Ezine Articles.com (a new window will open in your browser). Be very careful and use a face mask. If you don't want to drill a hole, you can also glue the gold cording to the top to the top of the shell.If you do this, I recommend using a very strong glue, like a two-part epoxy or super glue. 3.Tie the six inch gold cord in half and knot it, to form a loop. 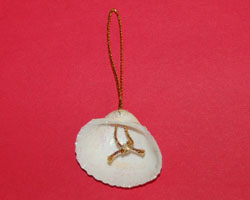 Thread this through the hole in the seashell. 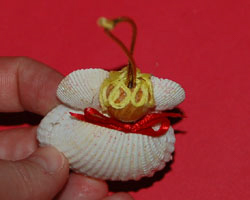 Thread it so the knot is hidden on the back of the seashell. 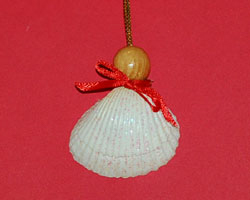 Alteratively, you can also glue the cord to the top of the seashell, using a strong glue. 4.Next, thread the wooden bead on to the cord. 5. Next, tie a small red ribbon around the base of the bead and tie a bow. Cut off the excess. 6. 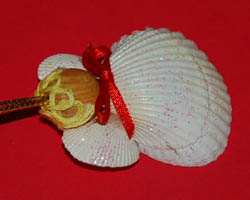 Hot glue the two smaller cockle shells to the sides of the large cockle shell and the side of the wooden bead to form the wings. The photo on the right shows the back of the angel. 7. Apply a white glue all over the top and sides of the bead. This is where you will attach the hair. 8. Using a length of yellow or brown embroidery floss, glue on the hair. I formed little loops as I applied the floss, to look like curls. You can also try using doll hair, or a bit of cotton. 9. Thread on the gold ring to form the halo. The ornament is now ready to hang on the tree!